Capital of Mallorca and the Balearic Islands, Palma is a city of beauty, culture and living. Above all it offers both visitor and resident alike all the amenities you would expect from a sophisticated 21st century European city but with everything close by - Palma is the accessible city! Boasting one of Spain's largest historic urban centres with more than 700 winding streets, interspersed with delightful squares filled with cafes and restaurants, central Palma must not be missed for any visitor to the Island. But maybe even more exciting could be the thought of purchasing your very own Palma property! Palma old town offers small studio apartments through to grand apartments in some of the capital's finest historic buildings. Prices start from 200,000€ rising to up to 2,500,000€ for a top Palma apartment in a converted palace. With all amenities on your door step, and access to the airport only 10 minutes drive away, a property in Palma makes sense for anyone looking for a weekend retreat, a base for international commuting or a full time base in Mallorca. And don't forget not only does Palma have everything you would expect from a top city it also has it's own beaches a stone throws from the central area. Portixol and Es Molinar are the nearest - both an easy walk or bike ride from the Old Town - which as well as offering access to the beach have their own array of beautiful properties. 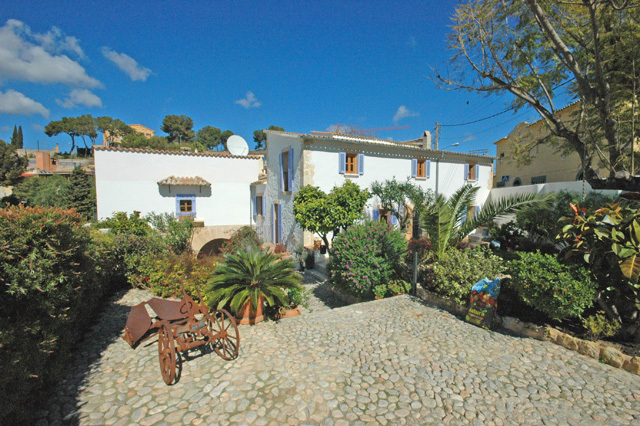 From old fisherman's cottages, to converted and new apartments Portixol and Es Molinar have a charming village feel yet are minutes from Palma centre. And not to be forgotten is the famous "Paseo Maritimo" running around the bay of Palma in front of the city boasting magnificent views over the sea and the spectacular Palma marina and port. Here from your modern Palma sea front apartment you can admire the pleasure boats and super yachts as they come and go along with the massive and impressive cruise liners. So whatever your Palma property needs there is something for all tastes and budgets! From small Palma centre studios, to historic Palma apartment conversions, modern apartments over looking Palma marina, through to beach side town houses and apartments in Portixol and Es Molinar. At Novi Property Mallorca we work with some of the top developers for those looking for new or off plan opportunities, particularly in the historic centre, as well as specialist local niche estate agents offering the broadest range of properties in the city. See also Palma de Mallorca "Area Background Information"